Ryan Road Planing Services have a fleet of Scarab Magnum Road Sweepers, we offer a 24 hour, 7 days a week service nationwide. Road Sweeping on all sites including. The Magnum Road sweeper is equally at home in urban or heavy duty contracting work. The road sweeper has been designed for mounting on truck chassis in the 13 - 18* tonne GVW range. The Magnum is an agile sweeper with exceptional on-task endurance. Our road sweepers and staff have all the appropriate safety and training certificates. 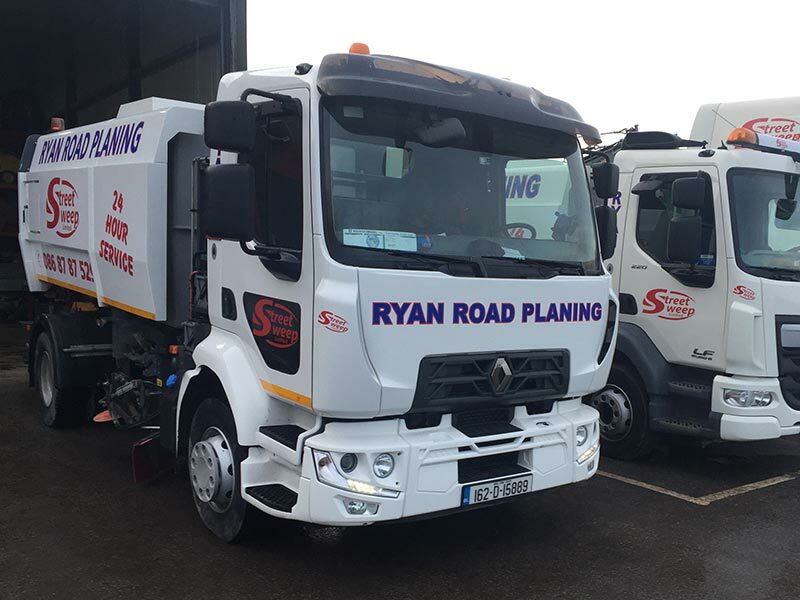 Ryan Road Planing Services road sweepers have worked on numerous projects in the past including the M1, M3, M7 Upgrade Projects, Motorway Apple Service Stations and Dublin Airport. 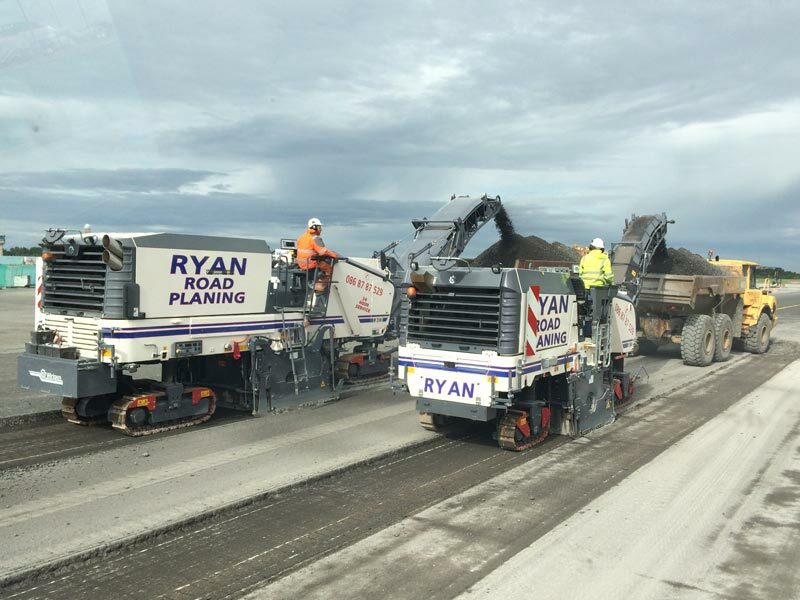 Ryan Road Planing Services have been sub contracted into work with all the major Irish contractors including BAM, Kilsaran, Roadstone, Lagan, Harrington Concrete and Roadbridge to name just a few. Ryan Road Planing provide an exceptional service with our fresh fleet of machines, none more than three years old. Our cold milling machines are used for the quick, highly efficient removal of asphalt and concrete pavements. In doing so, they create an even, true-to-profile base for the construction of new surface courses.